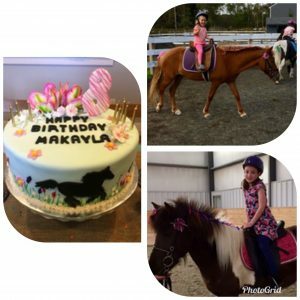 Here’s a wonderful idea for the perfect birthday for your horse-crazy boy or girl! Have their party right here at the farm! Your celebration is a great way to introduce young children to horses. After a stable tour and introduction to the horses, your party will begin in our spacious indoor arena (or outside in our round pen if weather permits) with a lesson in basic grooming, horse care, anatomy and safety. 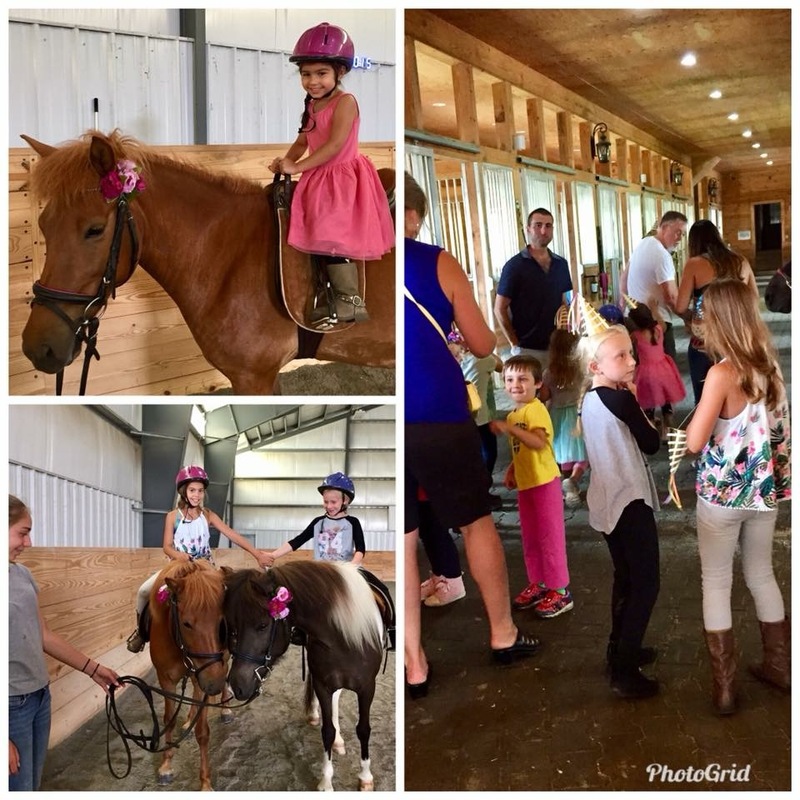 The birthday child and his/her friends will each receive a lead line pony ride. Two horses will be dressed in their party attire for your group. 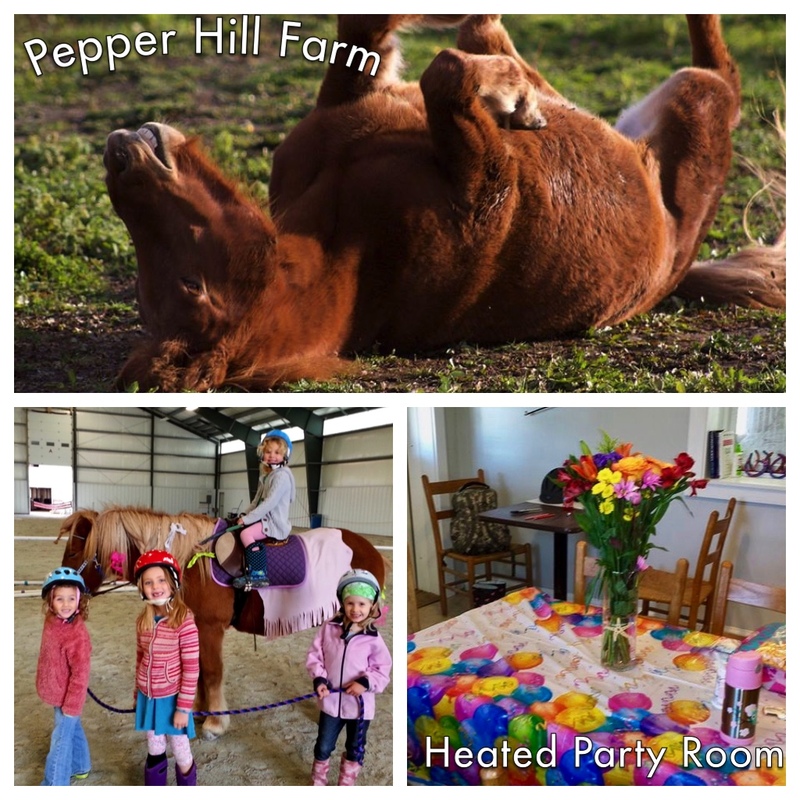 Use of the Pepper Hill Farm (heated) party room is included for a self-catered after-party (snacks, cup cakes, ice cream) and gift exchange following the activities. Need some help with some of the details? 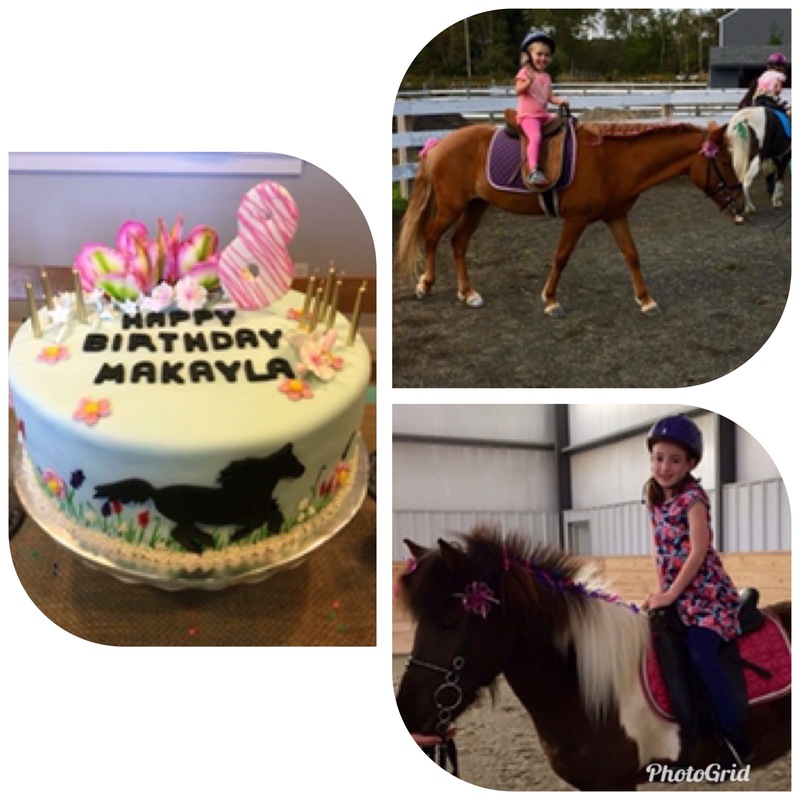 We can provide a pony-themed birthday cake, plates, napkins and utensils as well as send digital invitations for an additional fee of $100. (For the maximum 7 children) Then you can round things out with your additional snacks, favors, etc. Parental releases are required for each child participating. No exceptions. Appropriate dress is required: We recommend long pants and hard soled shoes or sneakers – no sandals or flip-flops. Additional participants may be added to the parties, but prices vary by number of horses needed and additional staffing requirements.